This guide is designed to give students undertaking a Building or Construction program an overview of the resources available. 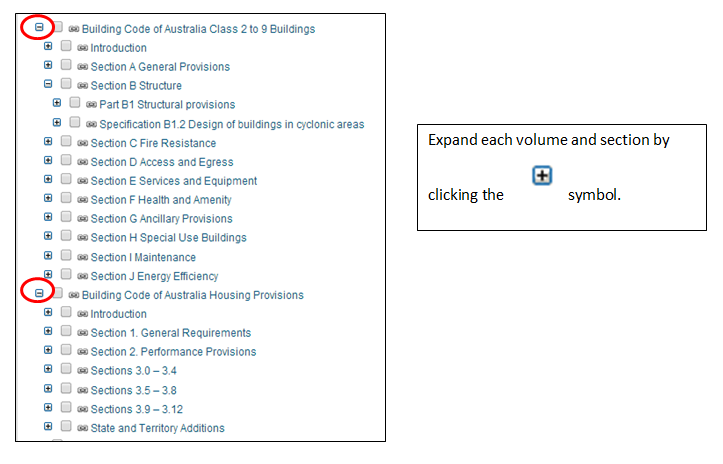 The Building Code of Australia is available online to all CQUniversity students and staff. The University's access to the Building Code of Australia is now available via the Westlaw - Queensland Building Service platform. 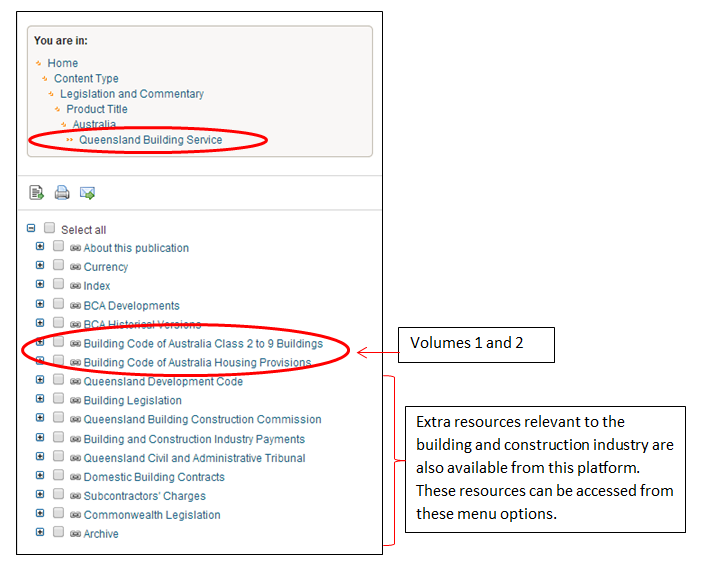 The BCA has traditionally been presented in 2 volumes, however access through the Queensland Building Service has broken up each volume and presented each section as menu options. 6. Keep expanding the quick links on the left hand side of the page (click the + sign) until you find what you are looking for. Section I Maintenance in Class 2-9 Buildings has now been taken down. The content of Part I2, which existed in BCA 2013, has been removed. The Part number I2 has been retained so as not to change the numbering of the current BCA from that of BCA 2013.